Ali O'Day, a dedicated young neurosurgeon, might have a Nobel Prize in her future-if she can survive the next eleven hours. Under the glare of live television cameras-and with her lover, Dr. Richard Helvelius, and her estranged husband, Kevin, both looking on-Ali is about to implant a revolutionary minicomputer into the brain of a blind boy. If it works, he will see again. But someone wants to stop her triumph. 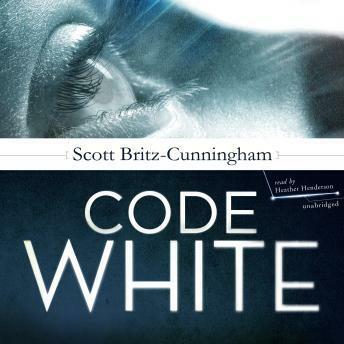 No sooner has she begun to operate than the hospital pagers crackle with the chilling announcement, "Code White." A bomb has been found in the medical center. But this is no ordinary bomb-and no ordinary bomber. As minutes tick off toward the deadline, Ali suspects that a vast, inhuman intellect lies behind the plot-and that she herself may be the true ransom demand. Very good subject matter but too much profanity for my taste. Lots of twists and keeps you interested.